If you're not using Pinterest already, I highly recommend it. It's a great way to curate, organize, and share content. Teachers have been sharing their ideas on Pinterest for well over a year now, and I've gotten a number of great lesson plan ideas through using it. This is not meant to be a definitive list of all the French teachers on Pinterest or even all the French teachers worth following. 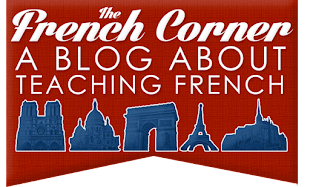 The 15 pinners featured below (in no particular order) have a number of pinboards on various topics related to teaching French, from classroom decor ideas to videos and photos to lesson plans. Happy pinning! Me! (oops, that makes 16!) - Well, tacky as it may be, I might as well include myself on this list since I myself am an active pinner! Thank you so much for including me in this group of amazing educators! I learn so much from each of them, and my boards contain so many of their pins. I am humbled and honored to be considered a member of this group of Pinners to follow. Thank you also for the resources you share on Pinterest, Twitter, and this blog. Mille fois merci! Pas de quoi ! You are one of the first people I began following on Pinterest! Bonjour Samantha. Merci d'avoir mentionné myFrench.ie comme un des 15 profs à suivre sur Pinterest. Cela m'a fait très plaisir car j'adore Pinterest et votre blog. En revanche, je voudrais rectifier et préciser que myFrench.ie est un business indépendant constitué d'un prof de français free lance natif et qualifié,c'est à dire moi! J'enseigne en Irlande et je donne des cours en ligne. Je suis active sur les réseaux sociaux mais je suis avant tout un prof de français. Si vous pouviez rectifier sur votre post et préciser que Delphine O'Brien est le prof qui se cache derrière myFrench.ie je vous en serez reconnaissante. Bonjour Samantha,je m'appelle Verónica et je suis prof de FLE en Argentine. Hey Samantha! Glad to see you're back in action! I've had your blog bookmarked for a long time, and was excited to see you started posting again! so, if I understand to be part of the best teachers of French (and not French teachers as we don't need to be French) we need to be a female teacher? hehehehe, alors je n'ai aucune chance! Hi! Most of my pinboards (I'm takeoutphoto on Pinterest) are about photography, so I'd obviously not be a contender for your list, but this post is a great resource. 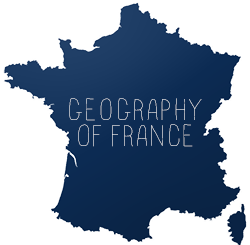 I'd love to do an "Ask A Teacher" interview with you sometime on my (very new and not very serious) blog (whatthefrench.com). Any chance you'd be interested? So sorry for the very late reply. I wanted to thank you so much for including me on this list! It is such a pleasure to see so many French language educators now using Pinterest since this post was written. Thank you so much again! You're quite welcome! Thank you for sharing such great things on Pinterest!